This information has been taken from the Eyes of the world Foundation’s 2017 annual accounts, which were externally audited by GM Auditores. 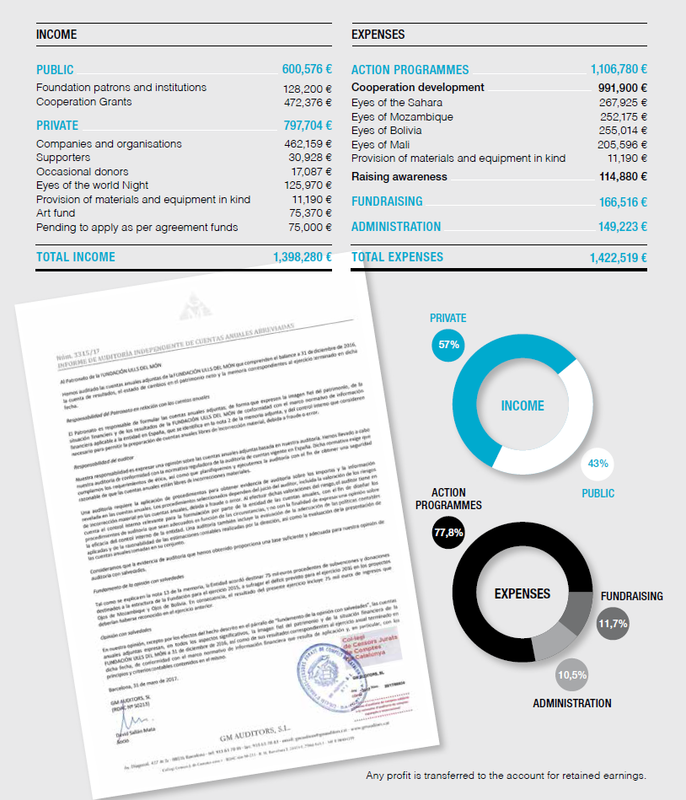 On February 27, 2019 the Board of the Foundation approved, in ordinary session and unanimously, the annual budget. The Foundation plans to enter 1,913,455 euros, 1,047,394 euros from public contributions and 866,061 euros from private funds. In relation to the execution, Eyes of the world plans to allocate 81% of the resources to the action programs, 11% to raise funds, 8% to the administrative management of the Foundation and the 7.4% to the implementation of gender policies.